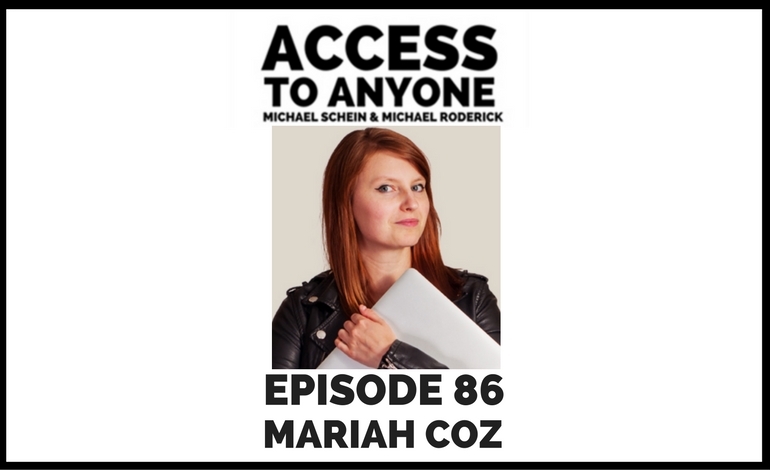 Mariah Coz is a punk rocker turned serial entrepreneur. Not only did she build seven successful businesses before she turned 25, she’s one of the select group of people who have truly cracked the code to generating passive income on a regular basis. Now as the Founder of Femtrepreneur, Mariah empowers other people to turn their passions into profits by helping them build their own online enterprises. Today she spills her secrets. She also shows us how to turn disadvantages into strengths, and reveals what being in a touring punk band taught her about building relationships and perusing success. Mariah Coz has been building businesses since 2008. After being in a touring punk band for a few years, she decided she wanted to make some money in between tours and got started online. She started out selling vintage clothes and sunglasses she would find at thrift stores, and flipping them online. She then purchased and renovated vintage camper trailers for a few years. She became a public speaker, developed a proprietary curriculum for high school girls that she toured around the country, and even did freelance museum curation. Then, after burning out on selling physical products and her crazy speaking–teaching–travel schedule, she began to pursue “online courses” to get some real freedom back. She succeeded in a big way.